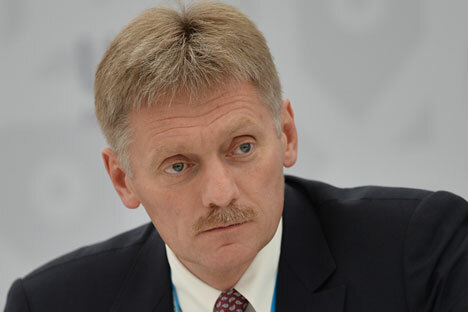 Russian presidential spokesman Dmitry Peskov. The issue of the West's sanctions against Russia is not on the agenda in Russia, this is a problem of those who introduced them, Russian presidential spokesman Dmitry Peskov said. "The Kremlin has repeatedly reacted to this. The sanctions are likely to be on the agenda of those who resort to sanctions rhetoric rather than on our agenda," Peskov told reporters when answering a question about the Kremlin's reaction to a statement by French Minister of the Economy, Industry and the Digital Sector Emmanuel Macron who said that the anti-Russian sanctions may be lifted upon implementation of the Minsk agreements. According to Macron, it can happen as early as this summer. Also, Peskov pointed once again to the illegal character of these sanctions, adding that they are against not only the national interest of Russia, but also the interests of the countries that introduced them. With respect to the implementation of the Minsk agreements, Peskov said: "As we see it, it is what Kyiv must do that we should talk about in the first place." "If you take the text of the Minsk agreements and simply read the provisions exposed there, then you can clearly see Kiev's obligations specified there, which, regrettably, are not being implemented," Peskov said.